How splendid this photo can be? Not an everyday couple, don't you think? 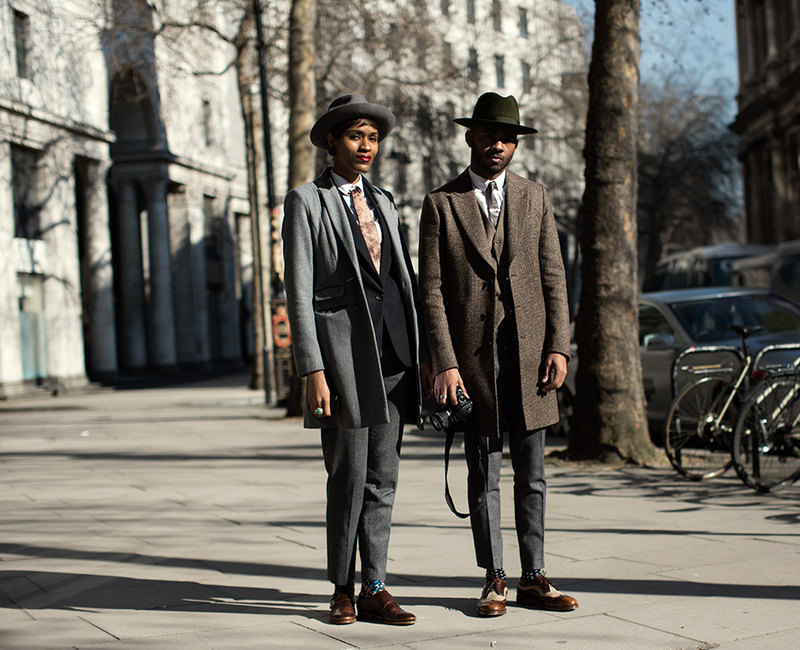 Details, like the polka dot socks, the hats and the ties make these two looks so dramatic and elegant. I suppose it's a new aspect of masculine dressing!